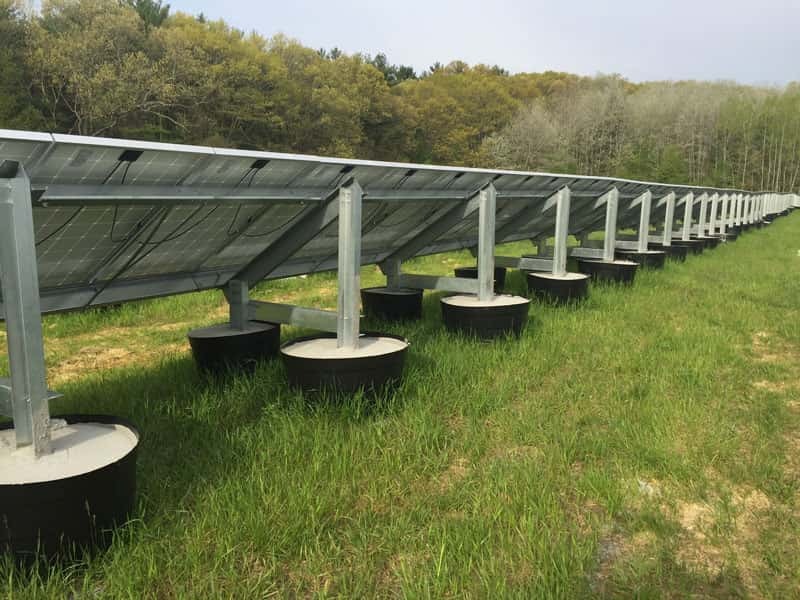 NEW YORK, NEW YORK – April 26, 2016 – GameChange Solar today announced that the introduction of round pouring forms for its Pour-in-Place™ Ballasted Ground System has improved installation speed for the system by eliminating the need for the temporary plywood and steel hoop structure that the previously best selling system had with its straight tubs. The straight tubs will still be produced to satisfy needs of all projects currently designed with this system, and retained for customers requesting them, but GameChange expects essentially all projects going forward to opt for the round tubs. Teresa Zhao, Director of Sales for GameChange Solar, stated: “Our Pour-In-Place™ Ballasted Ground System has grown to be the leading ballasted ground system in the landfill market and for rocky sites because of its value pricing and fast install speed. The introduction of the round tubs makes installation even faster and also allows for easier install on sloping ground as well."